Making Japanese savory broth, "dashi"
Making "dashi," savory broth, is the key to many of Japanese cooking. Once you know how to make this savor broth, you can add soy sauce, sake, and/or miring to make you own soba/ udon noodle soup, or any sauce for many Japanese dishes. In a large pot, soak dried kelp (for best result, soak the kelp in the water for an hour before you start cooking) and bring it to simmer. Take the kelp out and add the bonito flakes and anchovies, and bring to boil. Boil for 8-10 minuets. Scoop out the bonito flakes and anchovies, and discard them. This is the basic savory broth. You may also add Shiitake mushroon to give it an additional "depth" to the broth. On March 3rd is the day the Japanese celebrate Momo-no-sekku or Hina-matsuri. This is the day the families with daughters put out their traditionally dressed Japanese dolls and wish for their duaghters' health and happiness for the year. It is believed that dolls will take the bad luck from the girls. 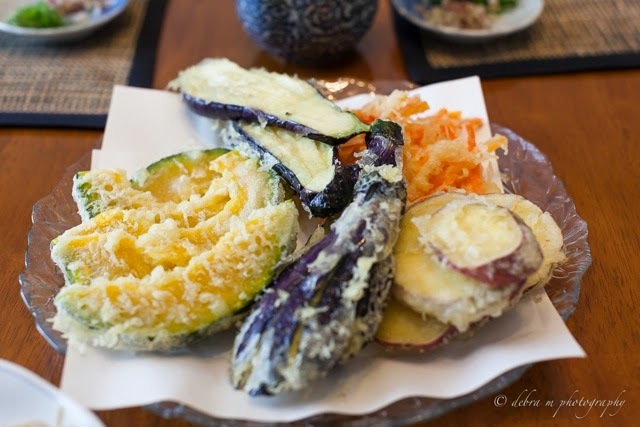 This is also the day when we can enjoy sweets that are made espeicailly for this day. 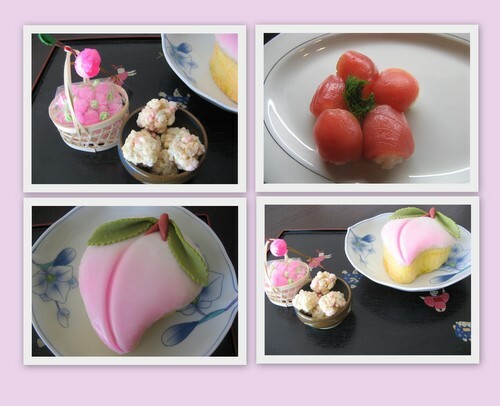 At our home, I made Tuna sushi balls and put them togehter like a little flower (top right on the photo below). Some people fix chirashi-sushi, sashimi fish on top of sushi rice, on this day.